The Twitter module embeds your timeline directly onto your page. Login to your School Loop account and click SiteCenter under the Toolbox menu. 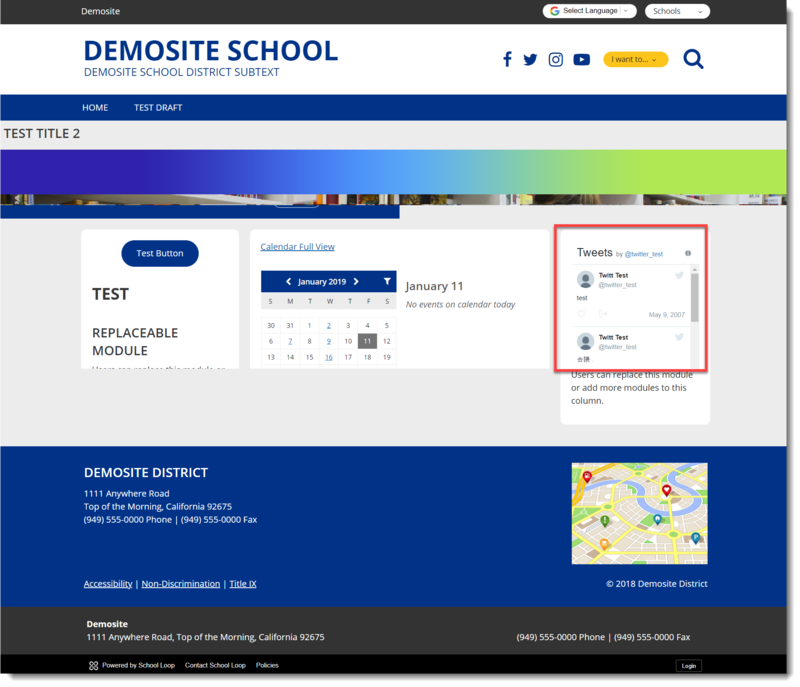 At the insert module screen, select the "Twitter Feed" tile. A pop-up window will open with a prompt asking for a Twitter username. Enter the username and click the OK button. If the procedure was carried out correctly, Twitter feed should be visible on your page.